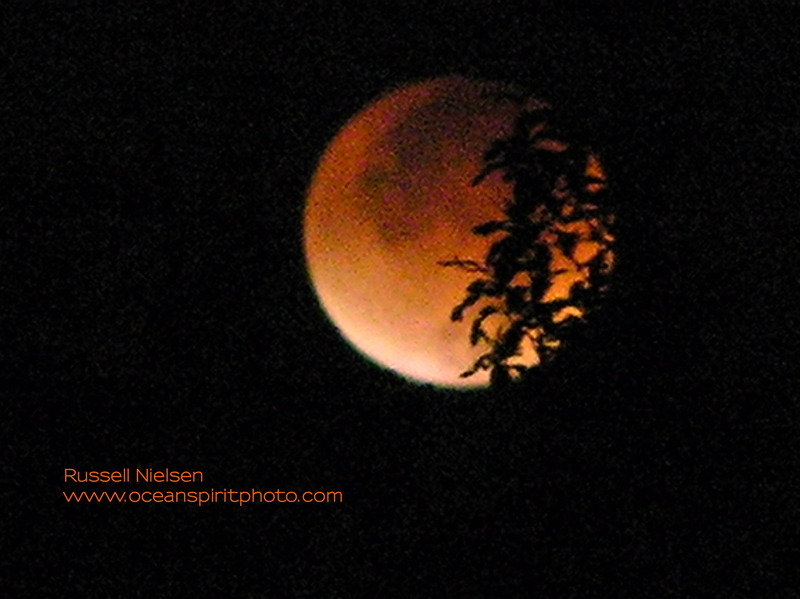 Once in a Blood Moon…. Did you see it? A blood moon, or total lunar eclipse, a result of the earth’s shadow covering the moon, happened last night. Arising slowly from bed, feeling like a marsupial, I slowly pulled on my sweat pants, robe, and slippers. Eyes half shut, I glanced at my alarm. 5:43 a.m. Sneaking out the French doors, we tried not to stir the pooches and the cats. I stepped gingerly from the deck to the yard, feeling the cool wet grass brush the sides of my ankles. Standing at the end of the fenced-in area, we cast a gaze at the moon. Feeling incredibly lucky, the constellations and stars illuminated brighter than we’d ever seen before, and surrounded us like a halo of warmth. The moon. Oh the moon! Bella! Bathed in the sky’s light, I glimpsed patches of blood orange and red hues encapsulating the left side of the moon. A small crescent of white burst through on the moon’s right side. We stood there for several minutes thinking about this phenomenon, awfully glad we took the time to experience the moon in all her regalia. 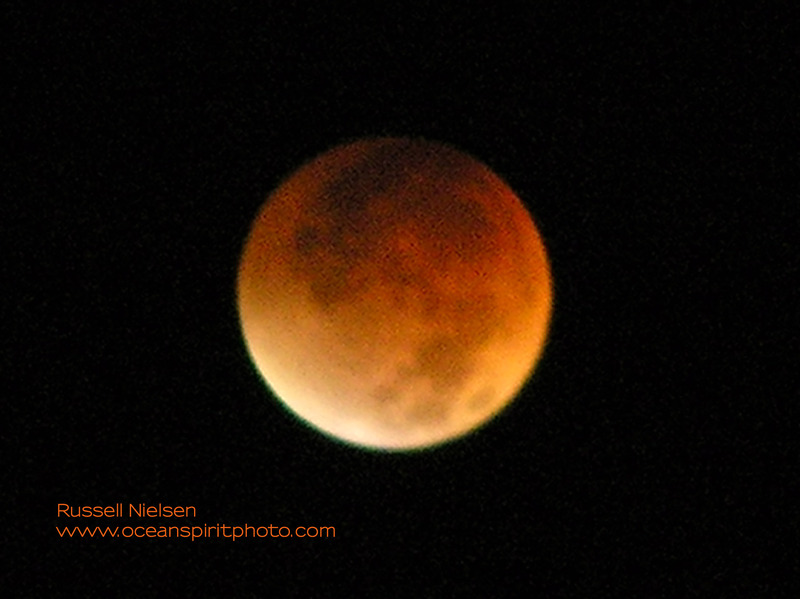 Although we didn’t capture blood moon photos last evening, here are photos from 5 years ago that hubby snapped. You know what’s really weird? After viewing the eclipse, I crawled back into bed, and fell fast asleep. In my dream, I was viewing the blood moon with my hubby, dogs, cats and our neighbors, The Boles. Once in a Blood Moon I suppose…. 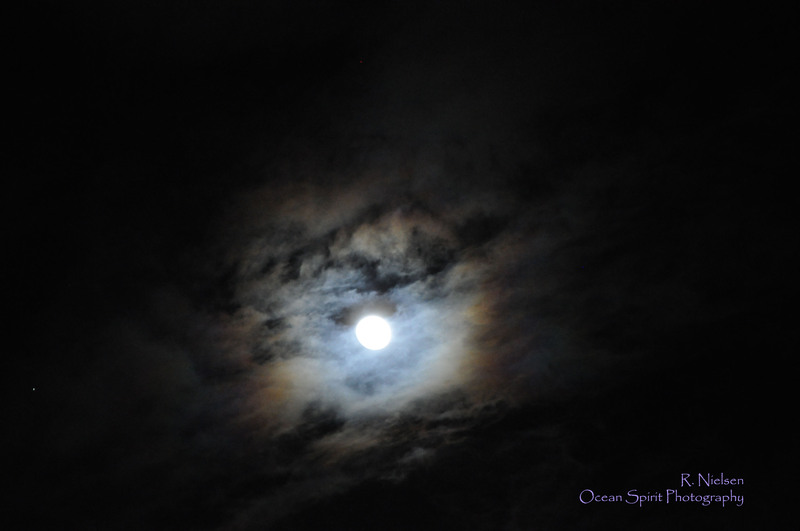 The inspiring night sky – planets and nebulas – Oh my! At around 9 p.m. last night, hubby and I loaded up the back seat of the Equinox with two dogs, a tripod, camera, and flashlight. We cruised down highway DD to Brommelsiek Park for the Friday night sky viewing hosted by the Astronomical Society of Eastern Missouri. As we pulled into the pitch black parking lot, I noticed at least thirty to forty cars – a good turnout for the evening. The Society meets Friday nights, beginning at dusk for an open house. Astronomers set up their telescopes on paved areas, while visitors can get a glimpse of the night sky and ask astronomers questions. Tonight was particularly breathtaking – the sky lit up like fireflies dotting the ink blue-black atmosphere. Hubby found a designated concrete pad, and set up camera and tripod. I strolled around with my canine child and conversed with the astronomers. First stop, I met Jim Trull. His telescope was locked-in to a ring nebula. A ring nebula blows off hydrogen (or expels gas) into interstellar space. It’s a star that has collapsed and looks like a Cheerio when viewed through the lens of the telescope. Next stop, I gazed at a fuzzy oval-shaped white mass called a Globula cluster. According to Wikipedia, a Globula cluster is a spherical collection of stars that orbits a galactic core as a satellite. Or you can remember it in simpler terms – a Globula cluster circles the galaxy like moths around a light, or pods around a plate. At my last stop, I met John Sgouros. His telescope sat low to the ground. He used a Newtonian reflector (which uses a primary mirror, a secondary mirror and a reflector) attached to a Dobsonian mount. I knelt on the ground and looked through the focuser to view Saturn, and its bright white mesmerizing rings. Off to the planet’s left, I located Titan – the fifteenth of Saturn’s moons, and the largest. Incredible! The viewing brought back good and bad memories of my college Astronomy class. The fun part was learning about the night sky. The hard part was remembering the chemistry. I sauntered back to where hubby was relaxing on the concrete; faithful dog by his side. His Galaxy Notepad app was set up for Google Sky. Pointing his Notepad directly over our heads, the app identified all the stars, galaxies, and planets with their shapes and names in red. A young couple with their son stopped by to see what we were doing. My husband explained to the boy how to use the app. The boy thought it was pretty cool. Upon leaving, I could hear him asking Mom if he had that app on his iPhone. All in all, it was a wonderful evening. It’s always good to learn something new, and dust off those cob webs about stuff you’ve learned and somehow forgotten. And if you’re not busy, stop by Brommelsiek Park Astronomy Site, 1650 Schwede Road, Wentzville on a cloudless Friday night. It’s free. The Astronomical Society of Eastern Missouri is doing great things.